Phone makers and mobile operators are worried about the Android-iOS duopoly the smartphone market has evolved into. This concern has given birth to a new generation of OSes that its respective backers are hoping can make a mark. 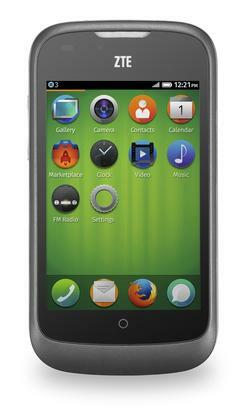 Of the four challengers, Firefox OS is the furthest along and is already in devices on the market. "At the moment it looks like Firefox OS is in the best position to break out from niche status because it has strong support from major mobile operators and major handset vendors like ZTE. That gives it an above average chance of success, I think," said Neil Mawston, executive director at Strategy Analytics. Telefónica and Deutsche Telekom have started selling the Alcatel OneTouch Fire and ZTE Open in Spain, Colombia, Venezuela and Poland, with more countries on the way. Neither operator has divulged any sales numbers. "It is very difficult to gauge exactly what the level of demand really is," said Geoff Blaber, director of devices and platforms at CCS Insight. What is known is that ZTE sold 1,975 units of the Open via eBay in the U.S. and U.K. for US$79.99 and £59.99, respectively, before ending the listing. It sold out in one day in the U.S. and in two days in the U.K.
To put that number in perspective; about 2 million smartphones based on Android and 82,000 based on Windows Phone were sold to end users per day during the second quarter, according to Gartner. Android continued to dominate the smartphone sector during April to June, while Windows Phone surpassed BlackBerry to take third place. "The challenge for Firefox OS is broadening the carrier support beyond the likes of Telefónica and Deutsche Telekom and provide a user experience that is comparable to Android. But it is in a good starting position," Blaber said. To succeed on a bigger scale it and the other newcomers have to become popular in China and or the U.S. because of their size, according to Mawston. While devices running Firefox OS have gone on sale, Canonical and Jolla are still working on getting smartphones based on Ubuntu and Sailfish OS in the hands of consumers. Last week marked the end of Canonical's campaign to raise the $32 million it wanted for the production of the Edge smartphone and PC. The project raised $12.8 million, which was nowhere near the ambitious target it set, but was enough to make it the biggest fixed-target crowdfunding campaign so far, according to Canonical. "We think it has been a success for many reasons, even though we didn't reach our objective. The whole idea of Indiegogo was to signal opportunity for more innovation in hardware manufacturing. The specification and feature set we built into the campaign was very well advanced in terms of the Edge being a device that could be both smartphone and a PC," said Richard Collins, product manager for Ubuntu Mobile. The first major milestone for the OS will come in October when Canonical will release a version that's mature enough for hardware manufacturers to start working on devices that would then become available during the second quarter next year, according to Collins. Those first devices will be more akin to smartphones instead of the converged device the Edge was supposed to be, he said. "Our discussions with hardware manufacturers are very productive. But there is a real difficulty and inertia about them really thinking about what's going to change and what can be done. The reason for that is with existing OS providers there isn't really the scope to deliver the kind of product we were promoting on Indiegogo," Collins said. The success of Ubuntu will depend on hardware manufacturers recognizing that there is not sufficient opportunity for them just working with Android, according to Collins. Last week Jolla announced that the first production batch of Sailfish smartphones had been fully booked by consumers and sales channels in 136 countries, which shows that there is demand for more OS options, said Jolla's CEO Tomi Pienimäki. "The number of countries was a real surprise. Yes, we knew that there was interest elsewhere than Finland and Europe, but not to that extent," said Pienimäki. The company doesn't want to say how large the batch is. But the development of the OS and the first smartphone, which was announced in May, is going well. On the software side, the company is working on improving performance, adding features and is fixing bugs, according to CTO Stefano Mosconi. "The production has started and we have received many different rounds of prototypes. Overall, the situation looks extremely positive," he said. The first Jolla smartphone is targeted to begin shipping by the end of the year, starting in Europe. While Firefox, Ubuntu and Sailfish have all made waves in the last couple of weeks, not much has been heard from Intel and Samsung regarding Tizen OS devices since Mobile World Congress back in February. Operators Orange and DoCoMo said then that they planned to start selling the first smartphones running Tizen during the second half of the year. "From our perspective not much has changed regarding our position on Tizen. We have always been relatively clear that we are supporting Tizen to bring more diversity and that is still the case," said Patrick Remy, vice president of devices at Orange Group. But when it comes to the availability of the first devices, Remy didn't have much to add when interviewed on Friday. "There is nothing specific we can announce at the moment. I am sorry about that. But in the coming months we are hoping to be able to be a bit more vocal and public about the work we are doing," Remy said. Orange is also monitoring the progress made by the other new OSes, and will add devices if they gain traction, said Remy. But Android, with its stability, aggressive pricing and large ecosystem, is Orange's choice for low-end smartphones, he said. Despite the lack of news, Tizen is still the one to watch, according to Blaber. Behind the scenes Intel and Samsung have been spending money to lay the groundwork for getting developers onboard. For example, with money from Intel, cross-platform development vendor Appcelerator has added support for Tizen to its development platform. Intel knows that selling devices requires developers and applications, according to the company. Vendors of other cross-platform development tools are also lining up behind Tizen, including Sencha and Unity Technologies. But a survey conducted by Appcelerator and IDC in April suggested that the two companies have an uphill battle ahead of them. Only 9 percent of the respondents said they were very interested in Tizen, compared to 19 percent for Ubuntu and 25 percent for Firefox OS. Even though Mozilla is seemingly doing better than the backers of the other new platforms, the company still has a lot of work to do before it reaches the level of interest developers are showing for iOS, Android and, to a lesser extent, Windows Phone. About 87 percent of respondents said they were very interested in Apple's iOS and 78 percent showed the same level of interest for Android. Even though more apps are being added all the time, the survey underlines that Microsoft and its partner Nokia are still struggling to attract developers. About 37 percent said they were very interested in Windows phones. "As we have seen with Windows Phone, the challenge for any new platform is to ensure you get the leading apps market by market, and you can tick the boxes for the leading top 20," Blaber said. Getting developers and consumers onboard was never going to be easy. But the interest for Canonical's Edge, Jolla's order and initial Firefox OS sales show there is a demand, albeit limited. "We are not going to see a significant change to Android's dominance anytime soon. But it is still quite feasible that Firefox, Ubuntu, Sailfish and Tizen can all maintain presence as long as there is a reasonable demand and costs are kept low," Blaber said.